STARTING A BUSINESS is always a tricky proposition, but starting an agriculture-based business can be especially difficult. On top of researching grants, conducting proposals,creating development strategies and discovering funding opportunities, farmers need to be outside tending crops or caring for livestock. That’s where the Hudson Valley AgriBusiness Development Corporation (HVADC) comes in. According to the U.S. Department of Agriculture’s 2012 Census of Agriculture, there are 5,536 farms totaling 898,014 acres within the 12 counties that comprise the Hudson Valley and the surrounding region. The total market value of the agricultural product from those farms is estimated to be over $651 billion. Yet, even that seemingly immense value may only be a small percentage of what the Hudson Valley has to offer in terms of agricultural earnings potential. The concept of an agriculturally focused business development company sprouted on April 1, 2004—the day American Farmland Trust (AFT) released its multi-year study, Agricultural Economic Development in the Hudson Valley. The report examined 13 specific issues facing agribusiness development and recommended actions for each. In 2007, Erling and a number of others embarked on an enterprise to help the Hudson Valley agricultural community meet these challenges. “I took four of [the findings] and worked with our founding Board of Directors to create Hudson Valley AgriBusiness Development Corporation and to follow somewhat of a roadmap based on those recommended, implementable actions,” he notes. As Deputy Director of the Columbia County Economic Development Office at the time, Erling was involved in the AFT study as a stakeholder. The study’s authors were impressed to find that Columbia County, through Erling’s office, already had several agriculture-based economic development projects underway. “We had done a total reorganization of a storage and packing plant; we had helped a fruit processing plant transition to what is now a goat dairy plant; we had done a migrant farm labor housing replacement program where we actually worked with farmers to create a financing program [so] they could replace substandard housing for their agricultural workers,” Erling says. The success of the Columbia County projects led to the obvious: a broader effort that would help startups and other agribusinesses in the Hudson Valley with a regional focus. This was the genesis of HVADC. 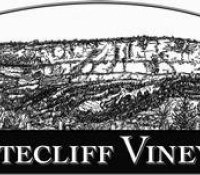 • Educate consumers about local food options within the Hudson Valley. Jim Hyland, co-owner of Farm-to-Table Co-Packers, in Kingston, had been working with Erling for about 20 years as owner of Winter Sun Farms. When Erling saw a new grant opportunity from Empire State Development Corporation and the New York State Department of Agriculture and Markets, he quickly approached Hyland. Through that effort, HVADC helped Farm-to-Table Co-Packers to secure a grant that allowed the firm to purchase a much-needed Individually Quick Frozen (IQF) triple-pass freezer. With the infusion, the company also was able to purchase a cooler for the loading dock (“really important,” Hyland says), pallet movers, additional ovens for roasting, labeling equipment, blanching machines, chillers, and then gear up for additional production. The grant/loan approach has proven to be a successful formula for HVADC and is clients, Erling notes. “They make monthly lease payments at a significantly reduced rate, and then we use those payments again to help other businesses in our Incubator Without Walls program each year. We have done it with Farm to Table Co-Packers, we’re doing it with Ronnybrook Dairy Farm, and we successfully had three applications written for craft beverage producers in Sullivan County,” he says. To do that requires educating consumers about what they eat and where they can shop for locally sourced products. 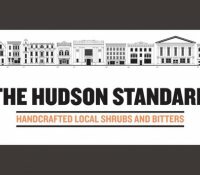 HVADC’s primary outreach program is Hudson Valley Bounty (hudsonvalleybounty.com), which began as a farm-to-chef network but has grown into a much larger database available to the public. 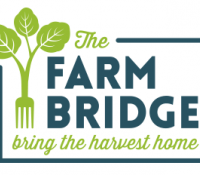 Visitors can use the site to find a farmers’ market, restaurant or other destination where locally sourced food is featured. The objective is to make it easy for consumers to identify and find local products, thereby creating a sustained demand in the market that will stimulate business growth. In fact, an unmet demand for local products already exists and represents significant potential revenue. New Venture Advisors, an advisory firm dedicated to fostering sustainable agricultural businesses, found that the Hudson Valley region alone has more then $1 billion in unmet demand for locally produced food and beverages (a number that jumps to over $7 billion applied statewide)—not an insignificant amount. The potential viability of a business is a major factor in evaluating a proposal, Erling admits. “We’re not going to put our resources behind someone who says they can turn water into gold—there has to be some reality grounded in it,” he says. 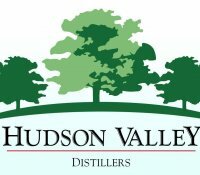 Since 2007, HVADC has worked with more than 130 businesses, and its list of success stories reads like a Who’s Who of signature Hudson Valley agribusinesses: Hepworth Farms, Whitecliff Vineyard, The Hudson Standard, Red Barn Produce, Harvest Spirits, Ronnybrook Dairy, Hudson Valley Seed Library, Taliaferro Farms, Farm-to-Table Co-Packers, Hudson Valley Distillers and Stone Barns Center for Food and Agriculture are all there. The list continues to grow. And that’s just fine as far as Erling is concerned. “I don’t think you ever reach the horizon,” he says. “Agriculture will always continue to be dynamic and evolve—that’s the nature of it. It’s a business that by default has to change for many reasons: market opportunity, financial pressure, climate, individual events like hurricanes Irene and Lee. It is one of the most dynamic businesses that you can find. And it always will be."